Philip Greene, author of To Have and Have Another: A Hemingway Cocktail Companion, offers a piece at the Daily Beast on how Hemingway taught the world to drink. Like that old poem about the six blind men, each perceiving an elephant in vastly different ways (a snake! a wall! a spear! ), so it is when it comes to people’s perspectives on Ernest Hemingway. Indeed, he taught the world to write; his distinctive use of short, declarative sentences influenced many generations of young writers. He taught the world to hunt and fish: From trout streams up in Michigan to trophy marlin and tuna in the Caribbean to big game on the African veldt, his vivid depictions of these experiences inspired many to wet a hook or shoulder a rifle. He brought the drama and tragedy of bullfighting to the world and prompted many to journey to Pamplona to run with the beasts. His love of travel motivated many more to follow in his footsteps. Ventures in Chicago, Michigan, the Great American West, Italy, France, Bimini, Cuba, China and, of course, Africa informed his writings with exploits worthy of any Lonely Planet guide. And, of course, he taught the world to drink. I am speaking of quality, mind you, not quantity. 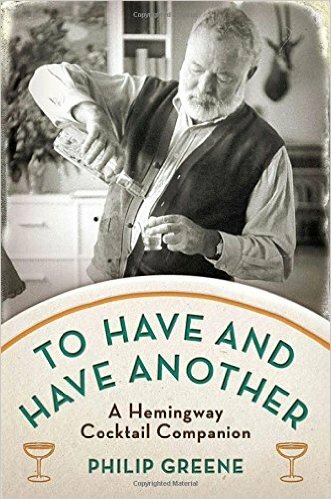 Hemingway, who would have turned 117 today, was no stranger to excess, and I routinely caution that while one should experience the wide array of drinks he brought to us, it should be done in moderation. That said, if you want to try to break the house record he set at the Floridita in Havana in 1942—17 double frozen Daiquiris downed in one sitting—be my guest!